Fellows International have recently moved from their offices in Arundel to Ordnance Business Park in Gosport. 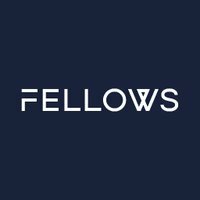 This change of location is an aspect of the Fellows re-brand and will enable Fellows to expand in the future. As the company looks to expand its land and maritime UXO disposal offerings, the move to a new operating base gives Fellows the space it needs to work with and develop the engineering solution to the UXO problem which is becoming more and more prevalent in the UK and abroad as companies and organisations become more understanding of the UXO risk. Fellows UXO Engineers are all ex Royal Navy or British Army Explosive Ordnance Disposal (EOD) personnel and the move to the new location allows Fellows to maintain and offer to clients the highest level of professionalism at short notice form a local workforce.